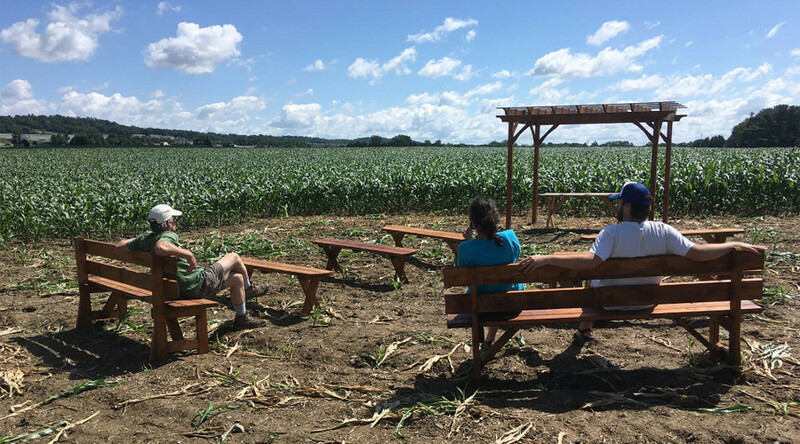 A convent of Catholic nuns opposed to a natural gas pipeline are building an outdoor chapel on its proposed route in Pennsylvania. 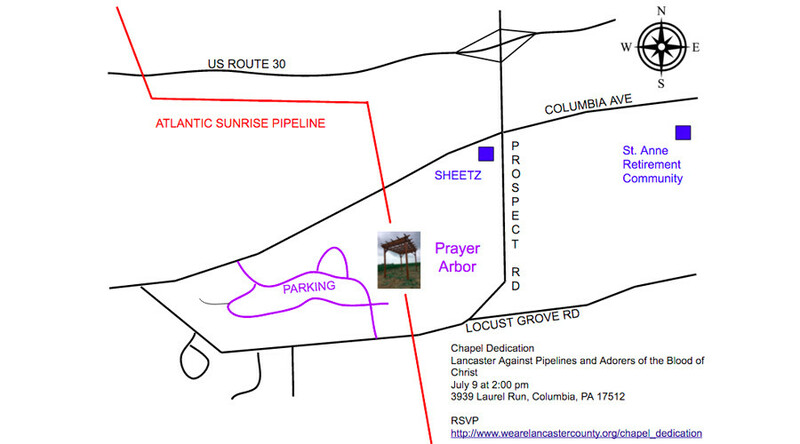 Despite lacking a permit, the Atlantic Sunrise pipeline was planned to go through land owned by the nuns’ cloister. At the dedication they plan to explore how to maintain a continuous prayer vigil at the site if development plans go ahead, according to a press statement. The Atlantic Sunrise pipeline is a proposed project by Williams Partners, a multibillion-dollar corporation based in Tulsa, Oklahoma. The 42in-diameter pipeline route was originally due to run through several popular Lancaster County conservancy preserves, woodlands and families’ homes when it was first proposed in 2014. Williams Partners filed an emergency order to seize the land before Sunday’s dedication. The nuns’ attorney argued in court that seizing the land was a direct violation of the nuns’ right to free speech, religion and assembly, and that the sisters are advocates for the Earth. In a court hearing on Thursday, Eastern District Judge Jeffrey Schmehl did not rule and did not say when he would do so, according to WGAL. “It’s not about the money. It’s about principle. The nuns have a land ethic that says this Earth is a sanctuary, and we regard it as sacred, and we’re going to work to protect it,” Mike Clutterbuck, from Lancaster Against the Pipeline, who attended the court hearing, told WGAL TV. No nuns were present during the hearing. The pipeline is intended to ship natural gas across 183 miles of Pennsylvania, connecting gas-producing regions in the northeast to customers in the mid-Atlantic and the South. Activists groups like Lancaster Against the Pipeline argue the gas is intended for export at the Cove Point Liquid Natural Gas terminal. Since that original notification, the proposed pipeline route has been altered dozens of times, and is currently awaiting approval from the Federal Energy Regulatory Commission (FERC). On Sunday, the nuns will be joined by the Sisters of Loretto, a Kentucky-based Catholic order that led a successful campaign against a Williams pipeline in 2014.